Take a break from the crowded beaches on a round-trip tour to Isla Mujeres from your Playa del Carmen hotel. Absorb coastal vistas as you cruise by catamaran, then spend time exploring the island with your guide for insight into its history. 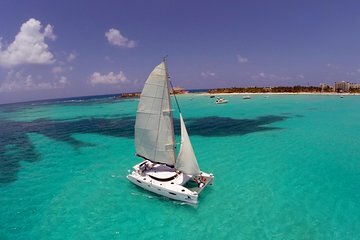 Take the opportunity to snorkel in the Caribbean waters, with gear provided, and unwind at a private beach club with lunch and unlimited drinks included.